Until then, we can all get excited by the fact that Battle.net Voice Chat will launch as part of the Overwatch beta. Need even more? 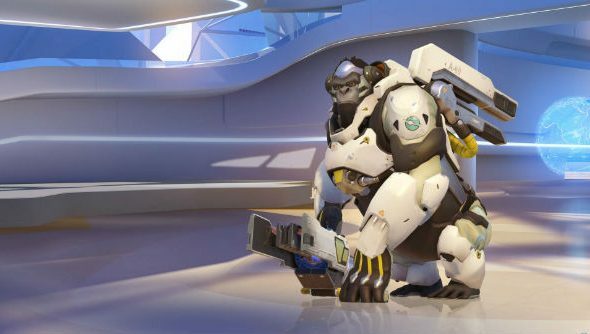 Tide yourself over with a look at our Overwatch hands-on. When Blizzard announced the Overwatch beta last week, it did mention the game would incorporate built-in voice chat, but this latest announcement confirms it’ll be built into Battle.net itself. Interestingly – or slightly disappointingly for now, depending on how you look at it – the blog post also states that due to the voice chat being in its “early development and testing stages” it’s at this stage “too early to say which Blizzard games will be supported and when” above and beyond Overwatch. More waiting, then. Ah well, patience comes to those who wait and all that. If you’re yet to sign up for the Overwatch beta, you can do so right here.